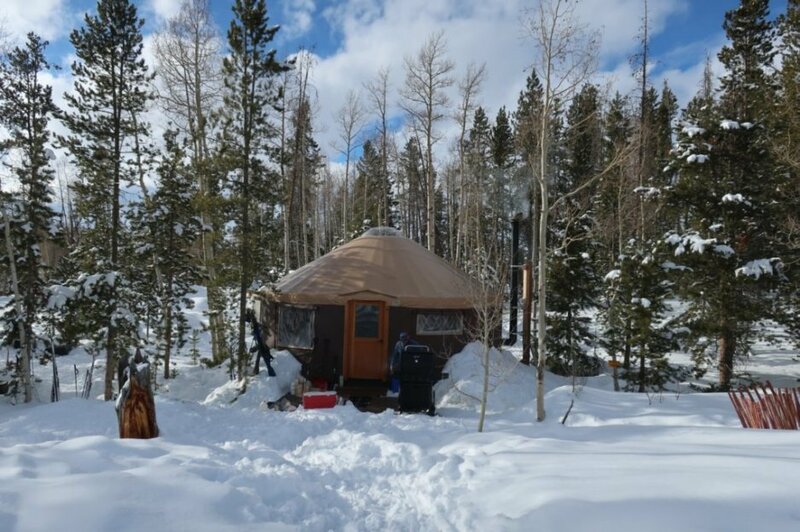 Beulah Vista, our newest yurt, is located out the east fork of the Bear River about 2.5 miles from the trailhead at an elevation of about 8600 feet. Access to the Beulah Vista Yurt is via the non-motorized trail system of the East Fork Bench, about a mile past the East Fork Yurt on the Lower East Fork Trail. On clear days it features a stunning view of Mount Beulah from the front door. This is our largets yurt (24' in diameter) and can accomodate up to 12 people.